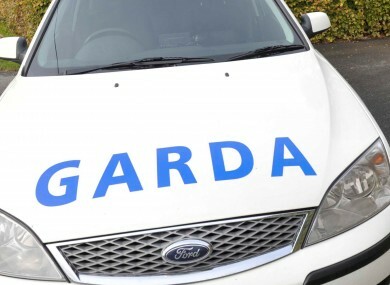 A woman in Donegal whose house was burgled had to collect a member of the gardaí and bring him to the crime scene last week, it has emerged. TAOISEACH ENDA KENNY has said that he will raise the issue of a woman who drove a member of the gardaí to a crime scene because he did not have a patrol car to drive himself with the Minister for Justice Alan Shatter. Kenny was speaking in the Dáil this morning after Sinn Féin TD Pádraig Mac Lochlainn raised the issue of the woman in his constituency of Donegal North East whose home had been burgled. The woman contacted gardaí at her local station in Newtowncunningham but was told that the garda officer on duty had no mode of transport. She offered to collect the officer and bring him to her home which he agreed to. She then drove the mile from her house to the station and brought the officer back to the scene to investigate the burglary. The story is carried in today’s Irish Times and Irish Examiner and was raised by Mac Lochlainn during Leaders’ Questions in the Dáil who cited wider concerns about cutbacks in An Garda Siochana. He called for an urgent review by the Minister for Justice of these cutbacks and called for the implementation of a plan to “reassure rural communities in particular”. “This is a matter that the Minister for Justice is obviously in contact with the Garda Commissioner about,” Kenny told the Dáil. Kenny asked the Sinn Féin deputy to send him details of the particular case which happened last week and promised to take it up with the Justice Minister and the Garda Commissioner. Email “Taoiseach to consult with Shatter after woman drove garda to crime scene ”. Feedback on “Taoiseach to consult with Shatter after woman drove garda to crime scene ”.